5,624 SF Locker/Weight Training Area. Pre-Engineered Metal Structure with 18 gauge metal sheeting and brick/pre-cast stone veneer. Finished Physician Suite and Physical Therapy Area. Includes finished office space, locker rooms and open weight training area. 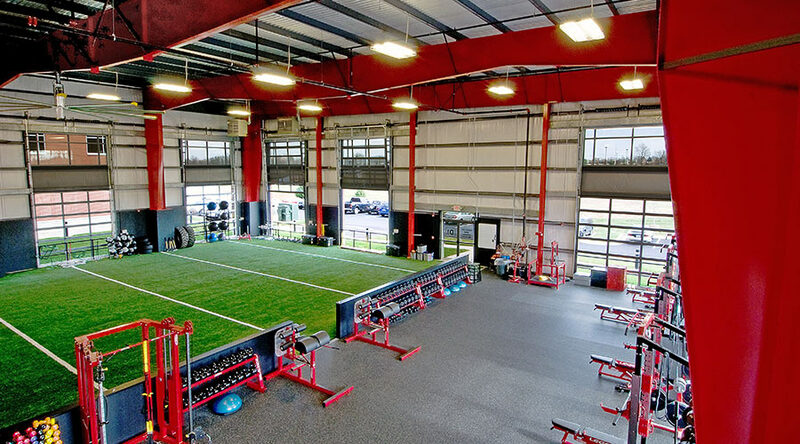 Features a 9,805 SF indoor sports turf training field. Heated and ventilated. Glass overhead doors can open for training in seasonal temperatures.